Tile roofs are both beautiful and durable, with individual clay or cement tiles potentially lasting for decades or longer if they are not broken, but re pointing ridge capping is something that should not be neglected if the roof is to last over the long run. Re pointing should be carried out if the pointing already in place is showing cracks, splits, or crumbling. 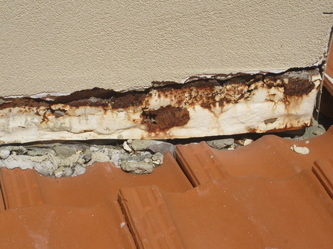 Such damage is an open invitation to water and insect, creating hidden problems under the roof surface that will eventually be very expensive to repair. Some may also want to use re pointing pre-emptively, replacing older, less effective pointing with newer, better materials well before actual problems arise. 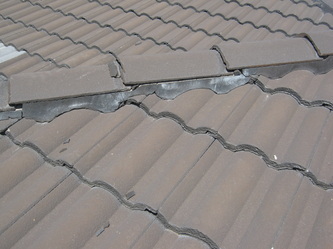 Ridge capping is in many ways the most critical element of a roof, since this is the place nearest to the sky and any water that enters here can find its way to any part of the house. 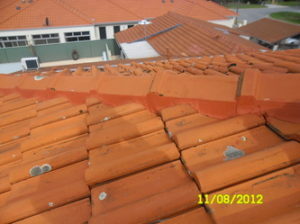 A broken tile may let water seep in, but the effect will be localised. Since the roof ridge is higher than every other part of the structure, however, leaking water here can flow downhill to practically anywhere, prompting mould growth, rotting wood, and warping or staining ceilings. Pointing is the mortar-like substance used to hold the ridge capping in place and, even more importantly, to create a weatherproof seal around and under it. 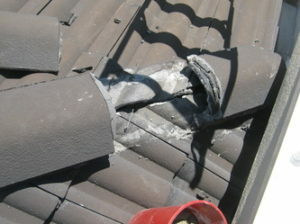 Older pointing is hard and inflexible, and was most frequently made out of sand and cement, with a few extra substances mixed in for correct texture and application characteristics.The flaw of this pointing is its unyielding hardness; with the roof expanding and contracting constantly as it heats and cools, the pointing soon cracks and may even disintegrate in places. Re pointing is therefore imperative to replace this less effective old-style pointing with the much superior flexible pointing of the modern era. Flexible pointing is made of acrylic compounds and therefore remains flexible and “stretchy” even after it has dried. In fact, it was made specifically to have this trait, as a response to the problems of the old pointing it is replacing. 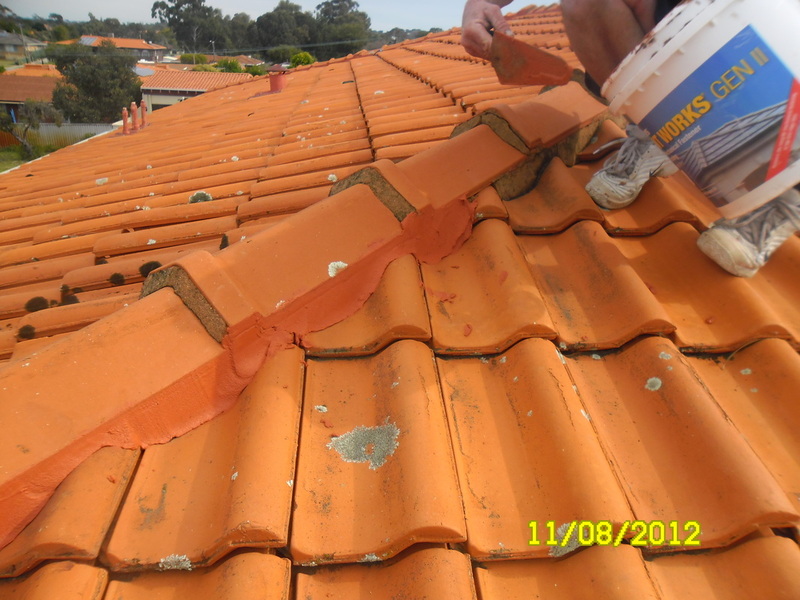 This flexible pointing literally glues the ridge capping in place, stretches and contracts in sync with movement of roof tiles as temperatures rise and fall, and is the material of choice for all modern tile roof re pointing projects. 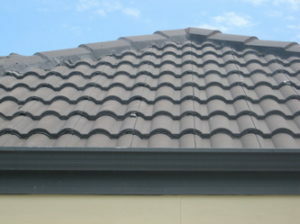 Bedding is the cement underneath the pointing, which holds the tiles in place and gives a firm foundation for the whole roof. Re bedding may also be needed to restore older roofs to their full effectiveness in shielding your home from water and weather, and in this case re pointing with flexible pointing is the ideal finish to the job. Using this flexible pointing lessens the stresses on the rigid elements above and below it, and lengthens the amount of time before re bedding is needed again. Technological advances continue to make homes sturdier and more lasting, and even advances in something like the pointing used to secure ridge capping helps to prevent future expenses and keeps homes cosier and more resistant to the weather and the seasons.